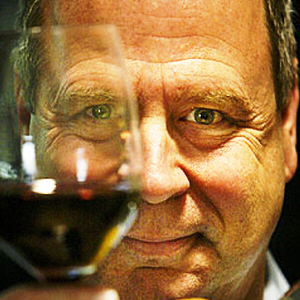 Tim Hanni is one of the first two Americans to earn the title Master of Wine and currently sits on the Executive Council of the Institute of Masters of Wine in London. He is a faculty member of the Wine Business Institute currently teaching the Sonoma State University Wine Business Certificate Series. Hanni is a widely recognized leader in developing wine marketing and education programs and is involved in sensory and behavioral research projects focused on fostering a better understanding of consumer wine preferences. His techniques for creating easy to use wine lists, including the invention of the Progressive Wine List format, and retail wine programs are combined with tried and tested culinary philosophies on “balancing” food and wine flavors and are employed by thousands of restaurants and hotel outlets around the world. His work in the sensory and culinary fields led to the development of Napa Seasoning Company’s unique new product: Vignon, the first Flavor Balancing Seasoning formulated to make food delicious while eliminating unpleasant wine and food interactions. How has “wine education,” an extremely popular concept these days, failed the consumer? This is a touchy and volatile subject, but here goes. Wine education for the most part is not education, it is marketing masquerading as education. Nothing wrong with this except that the industry has deluded itself to the point it cannot distinguish one from another. The result is that so much of the information is myths, lore and misunderstandings that then become the basis of a false ‘reality.’ Any product that relies so heavily on having to ‘educate’ the consumer will usually find there is a bigger opportunity that has not yet been uncovered. Using computing as an example it used to be necessary to educate people how to use a computer – the DOS command prompt would require a complex line of characters to be entered and the user had to know the language and protocol to be able to compute. The Graphic User Interface (GUI) came along, much to the horror of “real” computing people, and look where we are today. Click-click on a picture and you are in! The real question is, “how has wine education failed the wine industry and how much does the specter of wine education suppress wine consumption?” I say a lot, and have a great deal of data collected to show how wine education can work against, not for, expanding consumption. I believe that the wine industry is in need of education about consumers and a massive revision of education materials. Is there anything essentially wrong with talking about food and wine pairing? Clearly many wine consumers are aiming to match their food and wine choices whether they dine at home or a restaurant. There is absolutely nothing wrong with talking about wine and food pairing. The problem I have is that we are taking random, imaginary experiences and corrupt historical information to provide a basis for telling people what they should, or should not, eat and drink. It is all an imaginary la-la-land that lives in the minds of the practitioners as reality. There is a proliferation of beer pairing dinners, even whisky and tequila paired dinners across the nation. Have we become obsessed with finding that perfect match? Yes. These types of dinners are a fun way to get people communing at the table but again based on completely false premises. There is the serious over-intellectualization and easily observable random results as to who prefers which with what. At the end of the day most consumers feel more confused and often stupid – not a great way to engage more consumers. What might be one of the fundamental reasons that American wine consumers do not trust their own palates when making wine selections? This is a global, not American, phenomenon. The French, Italian and Spanish always LOVED sweet wines. They always drank whatever wine was available locally (which by the way was not always local wine) and no one paid any attention to wine and food pairing. If the wine was strong water, sugar, fruit juice or something like Cassis could be added to make it taste better. In fact many wines were already blended with other components – Vermouth, May wine, Sangria. In cultures where consumers REALLY trust their own palates they stick to the wines they know they like, drink them with just about anything they eat and do not really represent much of an opportunity for expanding consumption. Consumption in France and Italy is down 50% or even more over the past 50 years and still declining. The Chinese for the most part drink what is prestigious, not what necessarily tastes good. In fact, one might say that American consumers really do trust their own palates, they just cannot trust wine experts or professionals to understand their preferences and actually help them on a personal level. And information at the point of sale is of little value as well. Your psycho-sensory research is not widely embraced by mainstream wine culture. Is it too renegade, or not simple enough? It is a new approach and the wine mainstream is very protective and resistant at a professional level and the consumers for the most part don’t trust wine experts – me included. I think it is an emerging technology and gaining more and more momentum. The biggest critics simply do not understand the work and are more interested in lashing back against it rather than taking any time to learn more how it can positively work for clearing up so many misunderstandings about personal points of view. When the Windows (GUI) computer interface came out the gatekeepers thought they had a lot to lose by letting everyone compute. It was ‘dumbing down’ computing. I don’t think so and the effects of my efforts are showing up in many ways, such as the current Moscato phenomenon and general growth in sweet wine sales. Robert Parker, James Laube and others have made careers out of judging and scoring wines. Is there anything inherently wrong with their perceptions, or does it somehow undermine the confidence of an individual standing in front of a shelf of wines trying to find something for dinner? You have launched something new called MyVinotype. What exactly is that? A phenotype is defined as the combination of genetic makeup of an organism combined with how it adapts and changes in different environments. A Vinotype is simply a wine-consuming organism. I have been studying how the combination of physiological and psychological (culture, learning, experiences, peer situations) factors affect our personal preferences and choices for wine and a myriad of other products like coffee, food, clothing and pillowcases (seriously). MyVinotype is our beta site we are testing and building out to become a new way for people to learn their own Vinotype that can then be used as a means to direct them to wines, other consumers and finally specific wine products that they are much more likely to love. We also have our first commercial application up and running at Invino.com. MyVinotype is used to help customize wine recommendation for the wines they offer and also to customize their wine club offerings. I am also working with some hotel and restaurant groups to use Vinotyping, in combination with a really great Progressive Wine List, to really transform the wine recommendation process. 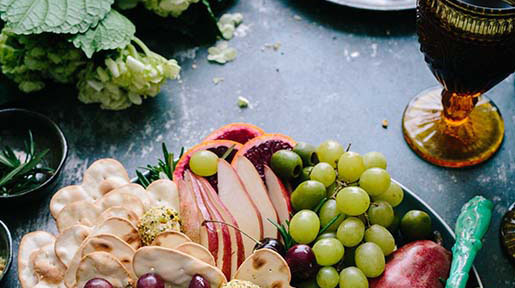 This, combined with the new position on wine and food, are proving to be a very powerful combination for engaging the staff and personalizing the wine experience for their guests. Much has been written and debated concerning the 100 point rating scale. 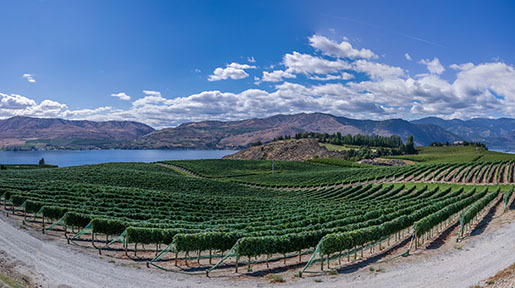 Some say it has empowered consumers, others claim it has distorted wine prices, while still others say it has actually changed the quality of wines being produced. What do you see as being the long term impact of the 100 point rating system? It will continue to dominate until better alternatives are found to provide wine recommendation solutions for those who do not prescribe to this system. I am in Istanbul as I write this and producers here are chasing the 100 point model. I am consulting with a very large Ukrainian producer who, more and more, are making wines chasing the 100 point system. I gave a presentation in Austria to show how a major, global wine producer lost billions with a huge portfolio of wines primarily chasing the wine system. The problem is not the 100 point system, it is the complete lack of understanding of how to engage and empower consumers at a whole new level, and wines around the world are becoming predictably dry, intense and similar in style due to OUR lack of imagination and work to understand the market. 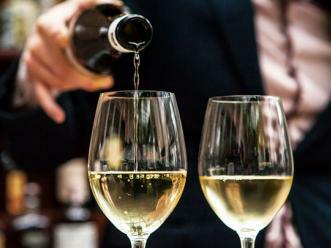 The distorted wine prices are a function of prestige and looking smart – and one could easily argue that the 100 point system has done more to positively affect the price of wines. 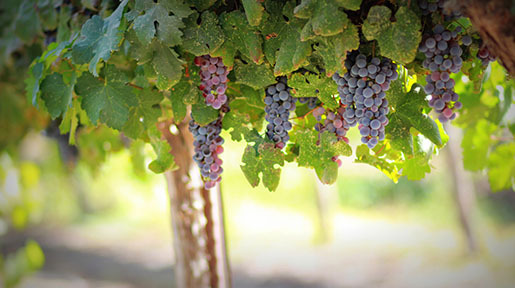 Had you not persued a career in the in wine industry, where do you think you’d be right now? Working as a cook in a fishing camp somewhere in a tropical location. My brothers and I joked about opening a combination bait shop and sushi bar – if the bait stops moving serve it for lunch. The work week is over, and it’s time for a relaxed dinner with family and friends. What are some of the foods you love you would make with some of the wines you love? A massive amount of asparagus, tomatoes, onions, fennel bulb and whole mushrooms with various meat and/or fish seasoned with my Vignon seasoning, drizzled with olive oil and thrown on the grill. Wine selections process goes something like, “here is what I have on hand – what do you fancy?” Everyone is encouraged to try all of the WRONG combinations. If it is my “Lunch with the Cynics” format, I prepare classical paupiettes of sole a la bonne femme and serve a huge Cabernet, grill some lamb or beef and serve Riesling. If you spend a week trying all the wrong things you will probably find there is little basis for wine and food matching and proof positive of the need for some serious change in the wine industry and that virtually everyone can benefit – despite their initial, and completely natural, resistance to change.